Dare to be free by W.B. Thomas, PAN-Books LTD : London. 1955 and Walter Babington Thomas (Paperback – 9 Mar 2006) 252 pages. “One of the greatest escape stories of World War Two”. 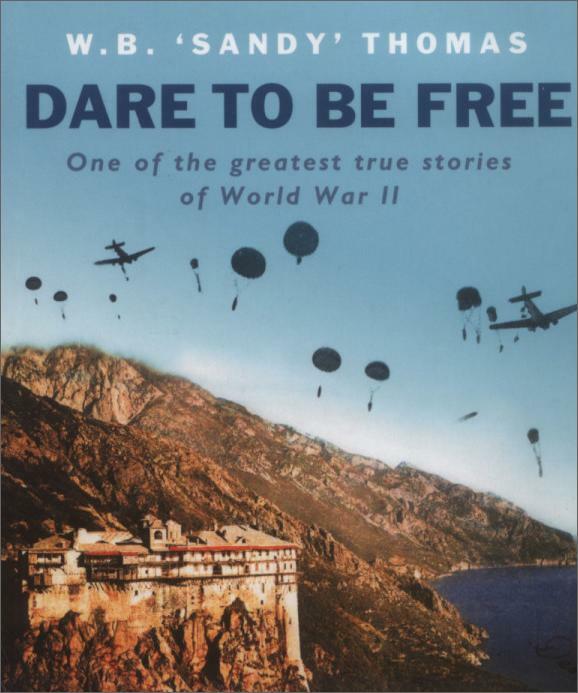 DARE TO BE FREE is outstanding even among the most famous of War books, because it is exceptionally well written, and the story is told with humour and modesty as well as gusto. It begins with the German airborne invasion of Crete, when the author, a young New Zealander (‘a lion-hearted man,’ wrote Noel Coward in his Middle East Diary, ‘who persistently deprecated his own exploits’), was severely wounded and was captured. He was taken to hospital in Greece and tried to escape by ‘dying’ and being carried out in a coffin, but his uncontrollable laughter revealed the ruse. He made two other daring but unsuccessful attemps to achieve freedom, and his nuisance value was then so great that he was removed to a specially guarded camp at Salonica, as a stage on the way to Germany. It was from here that he made the fantastic escape which is the chief theme of this book. Its most extraordinary feature is his sojourn, for almost a year, among the rocky eyries of the Mount Athos monasteries (where no female, human or animal, is allowed). In this strange self-contained community to monastery as the Germans came and went, meeting with alternating good-will and irascibility from the long-bearded-black-robed inmates. Finally, after three desperate attempts to cross the stormy Aegean Sea, he reached Turkey in a stolen boat, with two Englishmen whom the monks had also sheltered. In 2006 a documentary/film was made about this book. 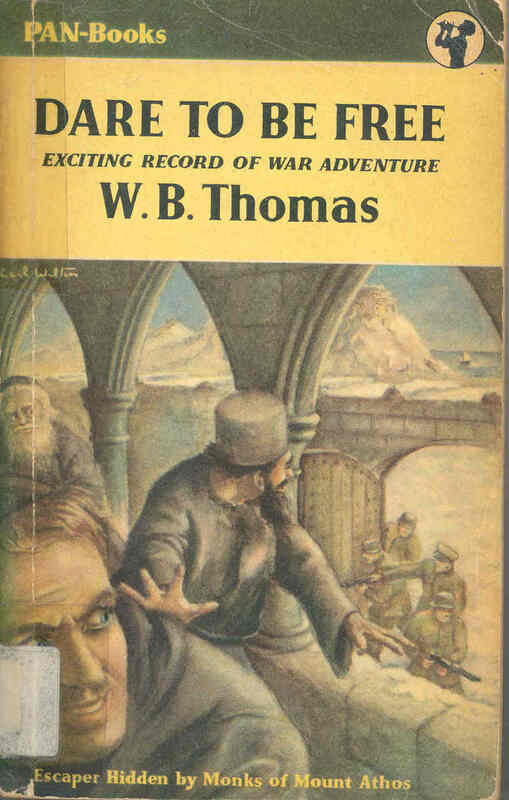 This entry was posted in books, war and tagged Sandy Thomas, Second world war. Bookmark the permalink.